China is now a big machine tool manufacturer and a big consumer country. At the same time, the development of the machine tool industry directly affects the development of other related supporting industries, such as bearings. Bearing is one of the indispensable components of the machine tool, but due to the deformed development of China's machine tool industry, the development of the bearing has almost doubled the development of the machine tool. In China, although the demand for machine tools is increasing every year with the acceleration of China's automation transformation, the vast majority of China's current domestic machine tools that can be completely domestically produced are low-end and middle-end machine tools, and the high-end machine tool fields are almost entirely foreign products. Occupy. The entry of high-end machine tools directly leads to the development of bearings in China, which is also oriented toward low-end products. The use of bearings in life is very widely used, for example, in high-end manufacturing projects such as aircraft, nuclear power. 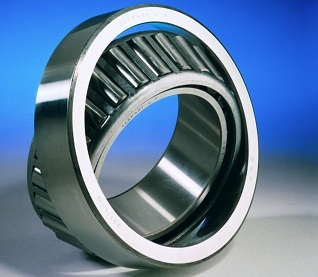 These high-end manufacturing industries require more extensive development and can only achieve full domestic purposes on high-end bearings, or else they are an important constraint on their development. In the 12th Five-Year Plan of the country will continue to increase the localization of high-end equipment components. As soon as possible to reach the localization of high-end bearings, China's high-end equipment manufacturing industry will also be a strong technical support.